Stand Up Paddle Surfing: Next Race, next weekend! On-line sign up available NOW! Next Race, next weekend! On-line sign up available NOW! 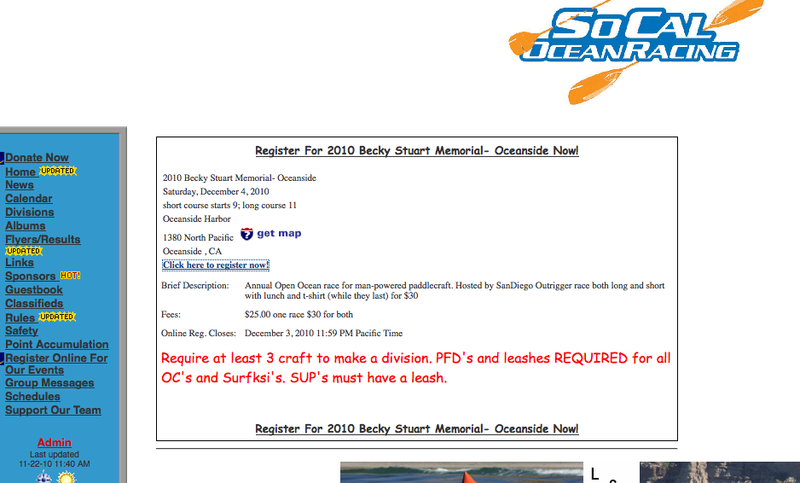 Get on it people- online sign up for the this race is up. Click here and get registered! Early morning race in O-side harbor... let's do this thing! Rauber, Elmer, Flowers, Ranjo, Kiwi, Ferris... where you at?